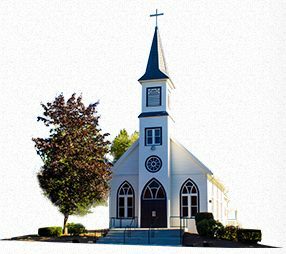 Our Parish Life Ministries offer you the opportunity to participate more fully with Outreach Ministries that accommodate the surrounding areas. If you would like to become a part of the Parish Life Ministries, please contact us here and indicate which one you would like to participate in. If you do not see a category for your choice of ministry, please send a message in the comment box letting us know which one you are interested in. 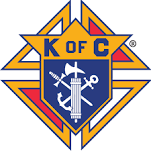 The Knights of Columbus is a lay Catholic men’s worldwide organization that promotes Church, Community, Family, Youth and Council in each committee. This Parish Life chapter meets once a month and is open to Catholic men 18 years and older. Meetings are held on the 2nd Tuesday of each month. Go here to learn more about this organization. This group’s primary mission is to care for the altar supplies and the church furnishings. They each meet once a month to discuss projects and events planned for the parish, and share in fellowship. The Altar Society is open to all women of the parish. The afternoon meeting is on the first Tuesday of the month at 1:00 pm. This Book Study Group meets every other Thursday evening at 7:00pm to openly discuss the current book chosen by the group to read and study. Some books studied have been Our Lady of Kiebo, and the Life of Christ by Bishop Fulton Sheen. An announcement will be in the bulletin when the group meets. A Divine Mercy Cenacle is a group of people who meet weekly for prayer, and discussion on Scripture, the Catechism of the Catholic Church, and the writings of St. Maria Faustina, as a small Christian community. The revelations given to St. Maria Faustina are excellent for spiritual growth and also give a deeper understanding of our merciful Lord. This cenacle meets every other Thursday evening at 7:00 pm to study and discuss the diary of St. Faustina with references to scripture in the bible, and the Catechism of the Catholic Church and recite the chaplet of the Divine Mercy. The Legion of Mary is a lay apostolic association who serve the Church and their neighbor on a voluntary basis. The members participate in the parish life through visitation of families, the sick, both in their homes and in care facilities. The unit of the Legion of Mary is called a praesidium, which holds a weekly meeting, where prayer is intermingled with reports and discussion. Persons who wish to join the Legion please contact the office. Visit and bring Holy Communion to the home-bound. Special training is required for this ministry, as well as completing the safe environment class from the archdiocese. Inspired by Gospel values, the Society of St. Vincent de Paul, a Catholic lay organization, leads men and women to join together to grow spiritually by offering person-to-person service to those who are needy and suffering in the tradition of its founder, Blessed Frederic Ozanam, and patron, St. Vincent de Paul. Organized locally, Vincentians witness God's love by embracing all works of charity and justice. The Society collaborates with other people of good will in relieving need and addressing its causes, making not distinction in those served because, in them, Vincentians are the face of Christ. During freezing temperatures, our local homeless have not options for housing and few options for meals. Winter Shelter was born from the desire to keep our neighbors safe, out of the elements at night during the coldest months of the year, and to fortify them with a basic meal. Each night, from December through February, homeless individuals and/or families check-in at Plateau Outreach Ministries (POM) in downtown Enumclaw and are taken to one of 7 local host churches where they have, dinner, interaction, a safe place to sleep, and then a small breakfast before transferring back to POM in the morning. Supervision is provided throughout their time. "Truly I tell you, whatever you did for one of the least of these brothers an sisters of mine, you did for me." 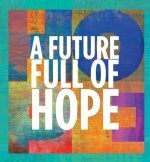 This program allows churches to put our faith, and the words of Jesus, into action. Winter Shelter is coordinated by POM and supported by many churches in Enumclaw and Buckley, the Enumclaw Police and Fire Departments, and the Enumclaw Youth and Family Services.